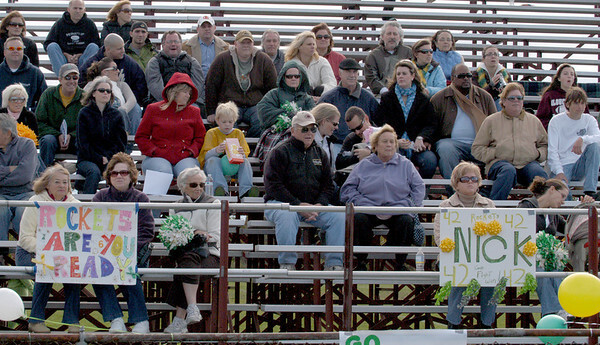 Gloucester: Parent, friend and fans display signs and cheer for their team,Sunday afternoon at Newell Stadium. Desi Smith Photo/Gloucester Daily Times. November 1,2009.